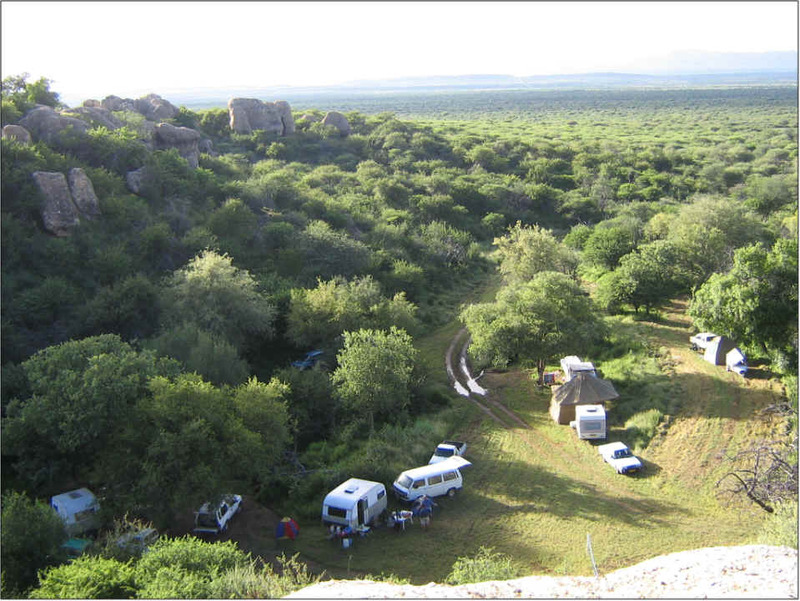 "Oppiklippe" (Afrikaans for on the rocks) is the name of the venture to combine some tourist accommodation with a wildlife farm - named 'Petersburg' after the Russian city by the original German settlers. 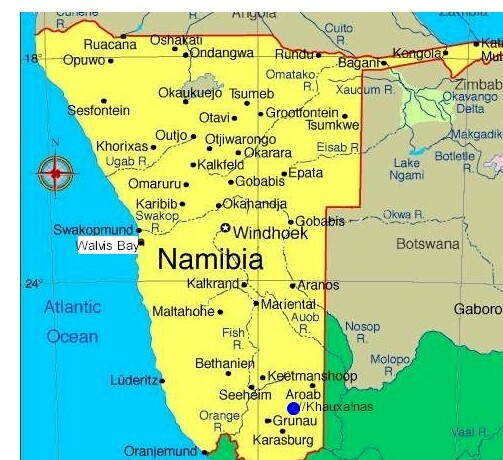 This presents an opportunity for tourists to come in contact with a Namibian farm and its people. 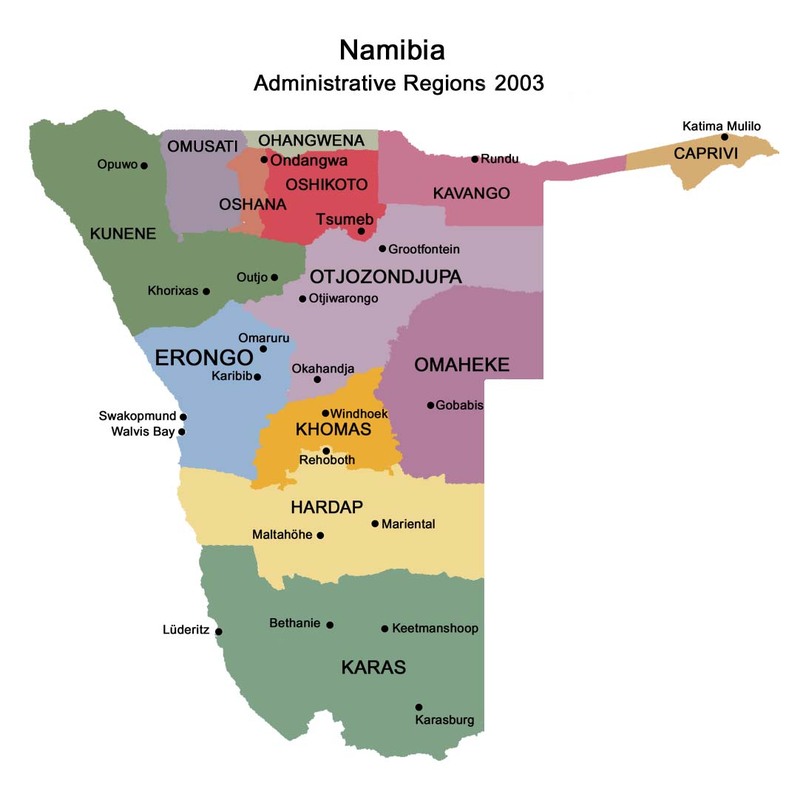 Petersburg forms part of the Etosha Conservancy and is mainly used for farming with eland. 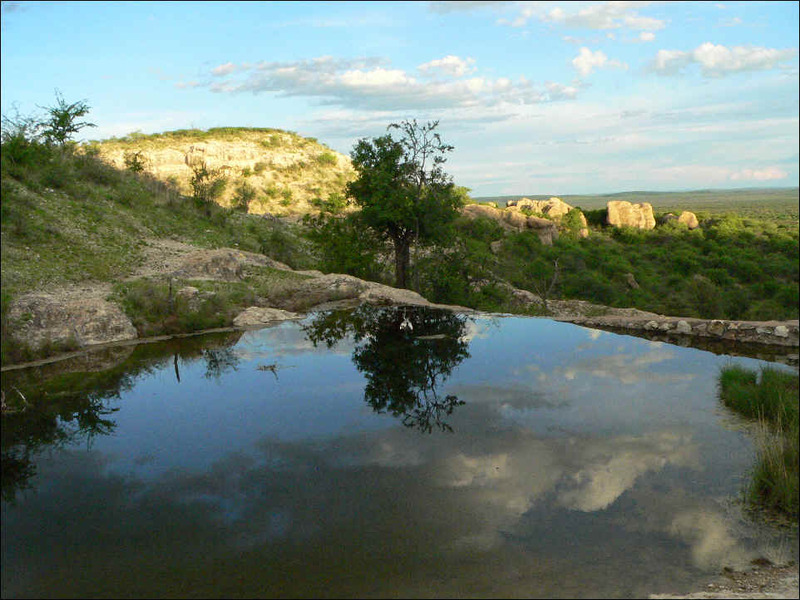 Oppiklippe is situated near town Outjo, the "Gateway to Etosha". 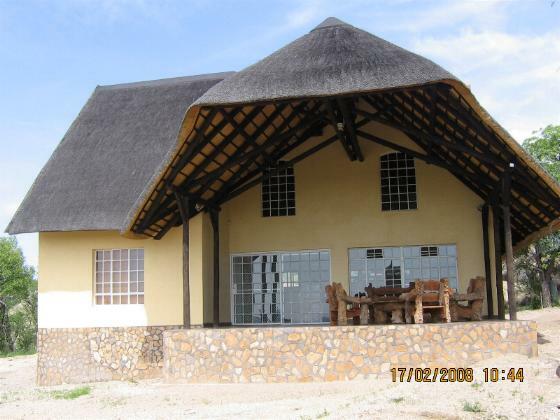 * Luxurious fully equipped thatched roof house. * Two double bedrooms sharing a shower and toilet. * Top room with beautiful view - two single beds and two sleeping coaches. 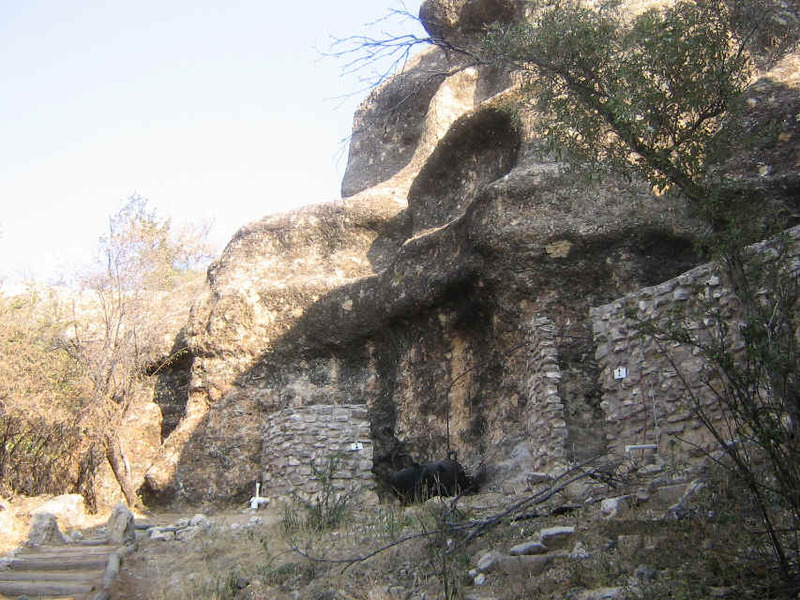 * Outside shower and toilet among rocks. * Open plan kitchen and living room with fire place. 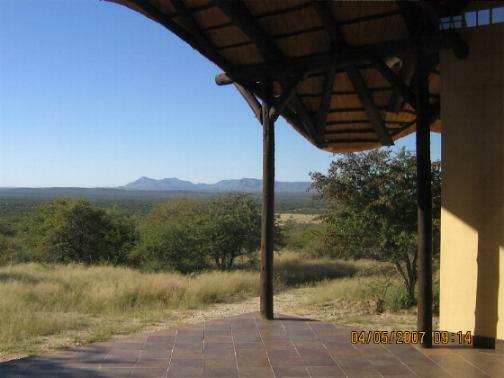 * Big veranda with beautiful view over Paresis mountains. 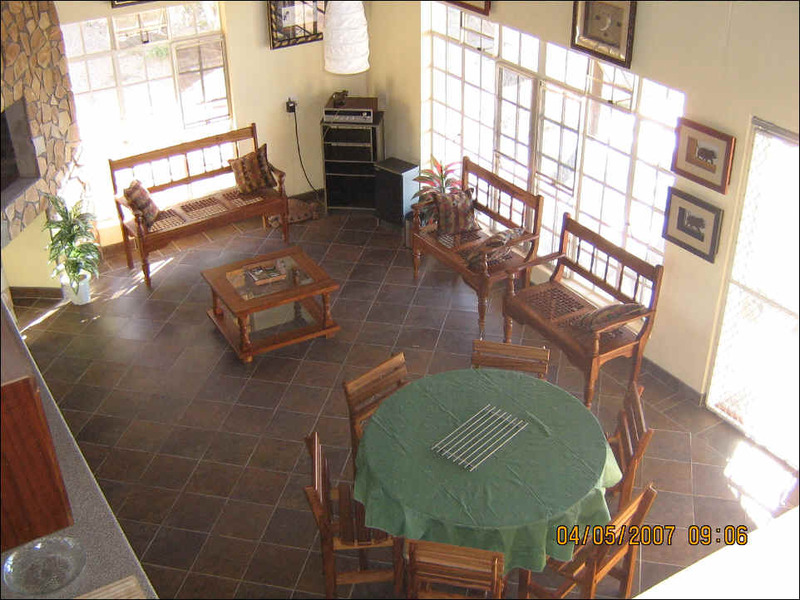 * Equipped with gas stove, freezer, linen, towls and the necessary utensils for self-catering. 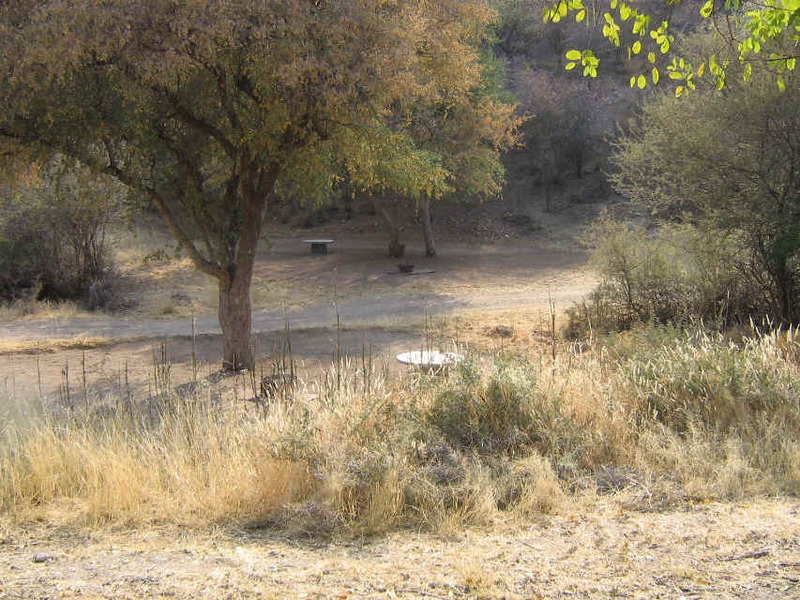 Especially kudu, eland, famous Damara Dik-Dik and bird watching. If you are lucky you might see a turtle. 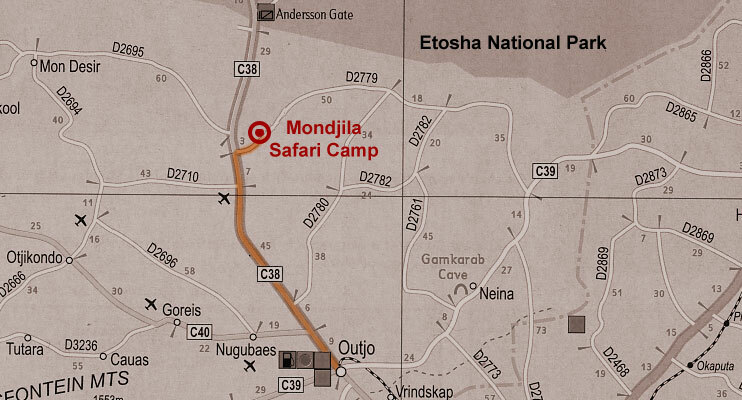 Hiking among rocks and along the Outjo terrace ridge for views of the Namibian scenery south of Outjo, while watching wildlife encountered on the way.